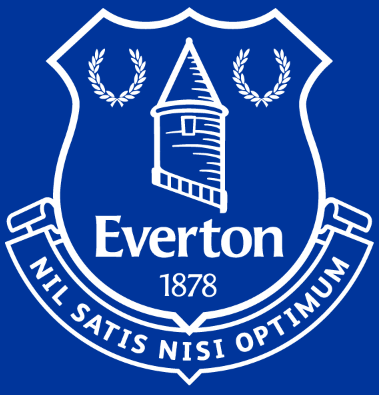 Everton F.C is an English club from Liverpool currently competing in the Premier League. The number of their achievements is really impressive. They won the League Championship nine times and FA Cup five times. Furthermore, Everton hold a record of 114 seasons in the top division. Since the formation in 1878 until the WWII they have been repeating success after success. They were one of the founding members of the Football League in 1888 and only two seasons later they won their first League Championship in 1890-91. Next time they were champions of the League was in 1914-1915. In the meantime, in 1906, they won the FA Cup. In 1925, the club set the record of 60 goals in the top flight league in 39 matches. After a number of great achievements, the club experienced rough times due to internal problems, and in 1927 was relegated to the Second Division. Fortunately, this decline did not last long, and Everton were back to the top flight already in 1931-32 and won Championship for the fourth time right away. Their second FA Cup came in 1933, and not long after, they were champions of the League for the fifth time in 1938-39. When the competition was resumed after the WWII, in 1946, Everton again had a hard time coming back to the top. They managed to earn their promotion only in 1953-54, finishing as a runners-up in their third season in the Second Division. They have been competing in the top flight ever since. Everton had another successful era with Harry Catterick in 1962-63 when they won the League Championship for the sixth time. In 1966 they were winners of the FA Cup again, and in the season 1969-70 they won the League Championship again. At this point, the club was the only one to achieve five consecutive years in European competitions. This chain of achievements was interrupted once again and it wasn’t until Howard Kendall took over that the most successful era of the club started. Already in 1984, they won FA Cup again and the League Championship in 1984-85 and in 1986-87. Their only European trophy came in 1985 winning the European Cup Winners’ Cup. They were very close to hold a treble of the League, European Cup Winners’ Cup and FA Cup in this season but they lost against Manchester United in the FA Cup finals. Recently, in the 2015-16 season, Everton came as far as to semi-finals of both the League Cup and FA Cup but were defeated in both.